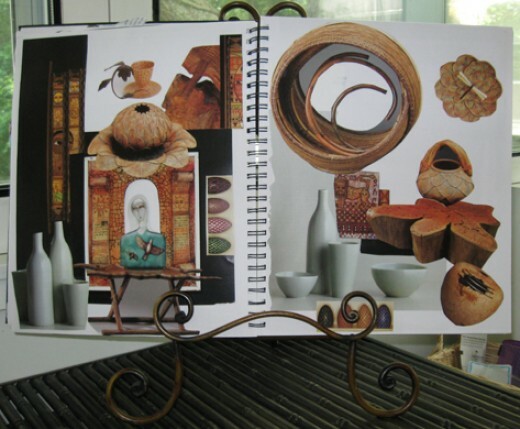 What draws us to the images we choose for our art work? Symbols help us to interpret our personal reality, explain the mystery of the cosmos, and help us gain insight into ourselves. All religions and cultures abound with symbols that speak to our beliefs and cosmology. 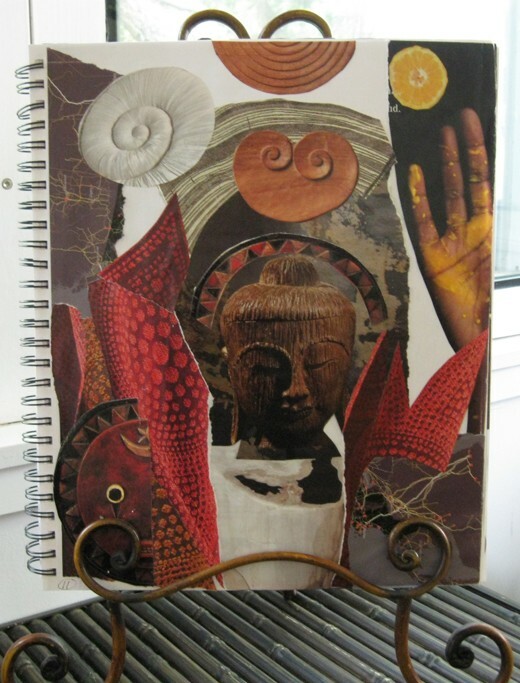 When making a collage, I notice I keep finding and choosing to use certain symbols over and over again. Even though I’m not always conscious of why I choose these images, I trust they are meaningful on a deeper level. For example, I frequently draw or use circles, spirals, birds, hands, feet, angels, portals, archetypal wise women, vessels, and a variety of animals. And, I’ve come to see how they relate to my personal mythology. They have become part of my artistic vocabulary. Then I start to investigate what these symbols mean universally as well as how they relate to me personally. Symbols allow the soul to speak to us directly. The more aware I become of the symbols I find myself consistently drawn to, and the more I incorporate these images into my art journals and other art works, the more I discover interesting things about my psyche, and the more interesting my art becomes. And, that is what I’m going for.